In order to stop meatballs from falling apart you need a binding agent. That’s one of the sacred rules of cooking. Without a binding agent, meatballs hardly hold their round shape and most of the time they will break while you cook them. The most used binding agents are eggs or bread crumbs. Cheese (such as Parmesan cheese), flax meal or almond meal are among other favorites. I never thought (until yesterday) that quinoa could be used as well...now I know, quinoa makes for a perfect binding agent. Who knew? I found this recipe, made the meatballs and instantly fell in love with them. I did tweak it a bit to add some of my fave flavors, but it was already pretty much perfect. 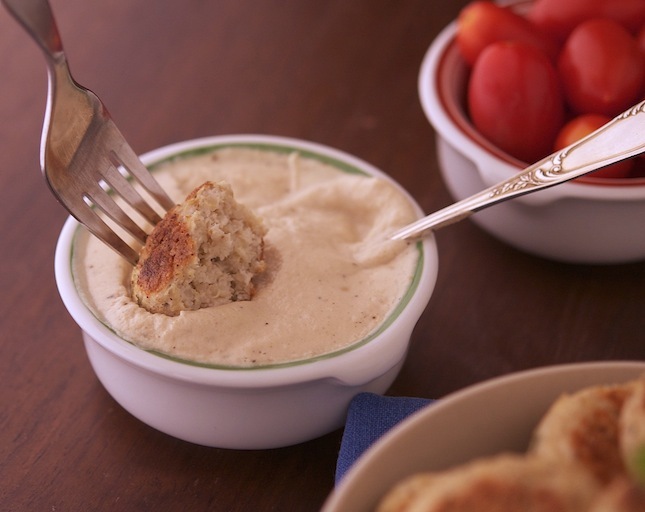 The tahini sauce works like a charm. I also tried them with Sriracha, and they were just as good...so do play around. 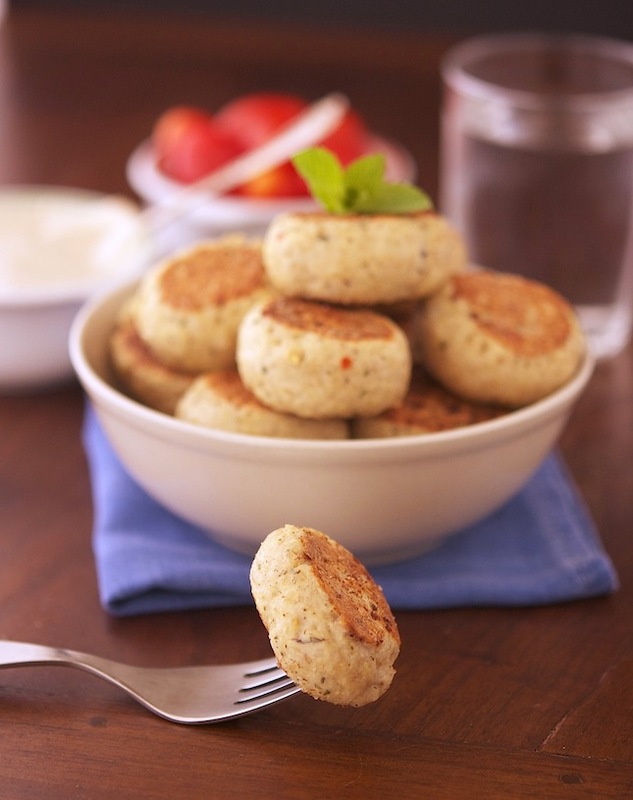 Using quinoa makes these meatballs gluten-free, egg-free and dairy-free. They’re loaded with protein and calorie considerate. If that isn’t a win-win situation, I honestly don’t know what it is. Quinoa and Turkey Meatballs with Tahini Sauce Print this recipe! Rinse quinoa thoroughly in a fine sieve; drain. bring 2 cups (500ml) of water to a boil in a medium saucepan. Add quinoa; return to a boil, give a quick stir, cover and reduce heat. Simmer until quinoa is tender but still chewy, about 15 minutes. Fluff quinoa with a fork and set aside to cool. In the meantime, process one garlic clove, tahini, lemon juice, and ¼ cup of water in a food processor until smooth. If necessary, thin with water. Season with salt and pepper, transfer to a small bowl; cover and refrigerate until ready to use. In a dry large nonstick skillet over medium high heat, toss and toast quinoa with allspice, cumin and red pepper flakes for 2 minutes. Taste and season with salt. Set aside. Put turkey, mint, scallions, garlic clove, and salt in a clean bowl of a food processor; pulse until a smooth paste forms. Add quinoa, process until mixture clumps around the blade, about 2 minutes. Transfer to a bowl. With dampened hands, roll about 2 scant tablespoons quinoa mixture into a ball; flatten slightly, and set aside on a plate. Repeat with remaining mixture to make all meatballs. Heat the same skillet over medium heat until hot. Working on batches, lightly coat meatballs with cooking spray. Cook meatballs in skillet, turning once, until cooked through, about 8 minutes per sides. Transfer patties to a clean plate, and loosely cover with foil to keep warm. 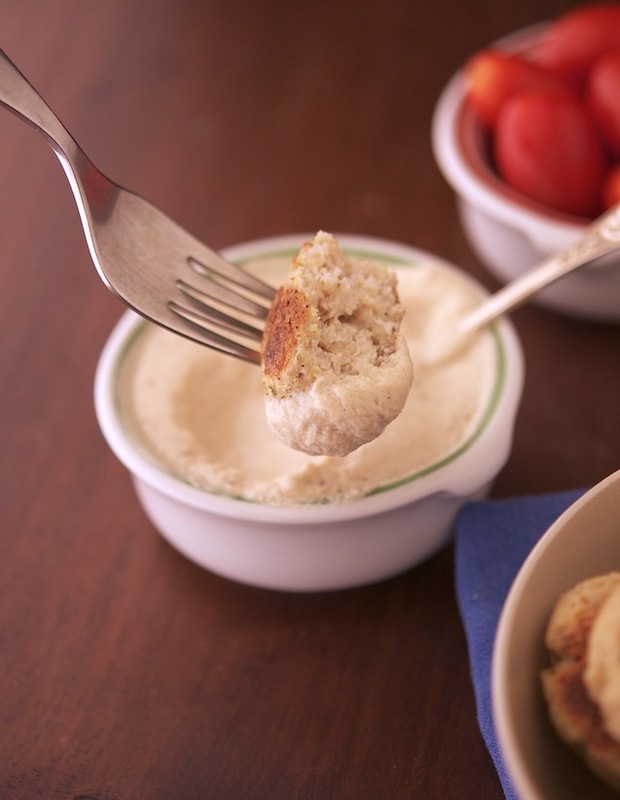 Serve warm (or cold) with the tahini sauce. One meatball scores 37 calories, 1.4 grams of fat, 3.1 grams of carbs and 3 grams of protein. I have to admit I don't actually use anything to bind my meatballs but they seem to stay together but I also have to admit they don't look as good as yours! They sound delicious and look perfect definitely going to try these! These look delicious! I may apply this method to my meatloaf recipe. I usually use old-fashioned rolled oats soaked in milk or broth, but this looks even healthier! 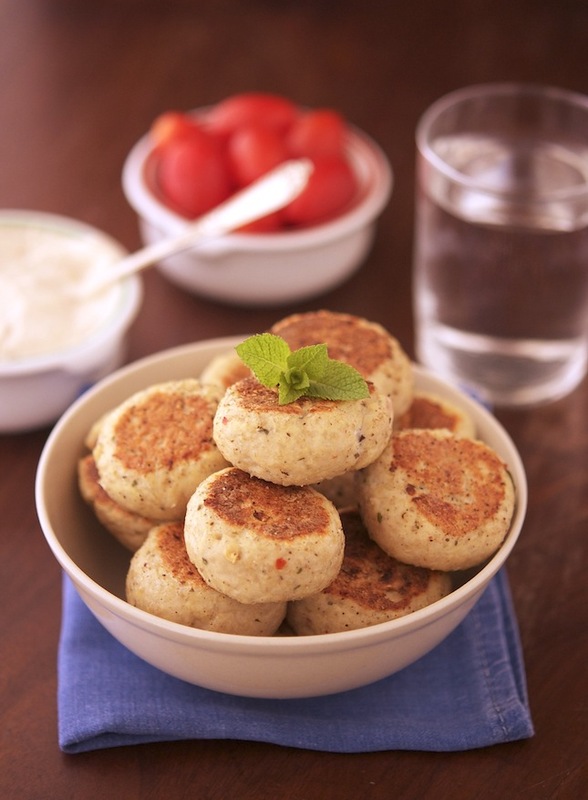 I wonder if you could make crab cakes this way? Yum! Looking so delicious. It would be nice if I could test.Color and presentation also looks super.